Tuesday, 28 August 2018, 9:45a.m. Pak'nSave may have been left a little tipsy after they made an amusing gaffe in their Good Health Week advertising last night. On Tuesday night a Porirua resident snapped an unfortunate image under the Good Health Week sign. Instead of being greeted by fruits and vegetables, Pak'nSave advertised boxes of beer as "good health". The photo, which was taken in Porirua Pak'nSave, shows boxes of Steinlager classic, Steinlager black and Corona bottles on sale. The resident who took the photo told the Herald "nice to see Pak'nSave promoting a healthy diet!" 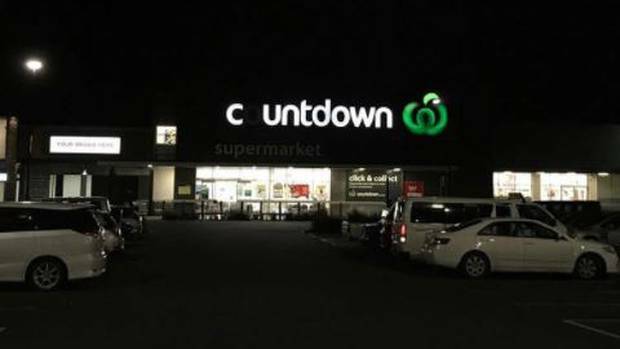 It's not the first time supermarkets have left shoppers grinning after Woolworth's unfortunate sign mishap led to an offensive word greeting customers as they walked in the store earlier this year. A sign that reads "Pick up your online order here" was thought to be harmless - that's until Easter decorations hanging up in the store obstructed the sign leaving customers reading a hilarious but not so pleasant message. The obstructed sign left customers reading the "Pick up your online order here" as "F**k up your online order here". The image was sent to the "Woolies Meme" page with the caption "Want your order eff'd up? See us..."
In March, Auckland Airport's Countdown greeted tourists to New Zealand with an amusing-yet-offensive welcome after it lost an O. The store's sign appears to have had the crucial letter missing for three days because of an electrical outage, before it was quickly fixed after the Herald reported the problem. An image was posted to Instagram with the caption: "There's only one place I shop. Also what people yell when I fall over. Ps @countdown_nz your sign has been broken for 3 days and long may it last."